Τοποθετημένο στην καρδιά της Agonda, το Hotel Resort Agonda- Heritage είναι το ιδανικό σημείο από όπου μπορείτε να ανακαλύψετε τη Γκόα. Από εδώ, οι επισκέπτες μπορούν να έχουν άμεση πρόσβαση σε όλα όσα η πόλη έχει να προσφέρει. Με την βολική του τοποθεσία, το ξενοδοχείο προσφέρει εύκολη πρόσβαση στους προορισμούς της πόλης που πρέπει οπωσδήποτε να δείτε. Στο Hotel Resort Agonda- Heritage, η άψογη εξυπηρέτηση και οι ανώτερες εγκαταστάσεις συντελούν ώστε η διαμονή εκεί να σας μείνει αξέχαστη. Για την άνεση και την διευκόλυνση των πελατών, το ξενοδοχείο προσφέρει χώρος στάθμευσης οχημάτων, ενοικίαση αυτοκινήτου, εστιατόριο. Επιπλέον, όλα τα δωμάτια διαθέτουν ποικιλία ανέσεων. Πολλά από αυτά παρέχουν ακόμη και τζάκι, μοκέτα, πετσέτες, ομπρέλα, καθρέφτης προκειμένου να ευχαριστήσουν ακόμα και τον πιο απαιτητικό επισκέπτη. Η πλήρης λίστα των ψυχαγωγικών υπηρεσιών είναι διαθέσιμη στο ξενοδοχείο, συμπεριλαμβανομένων των κήπος. Με την ιδανική του τοποθεσία και τις καταπληκτικές του υπηρεσίες, το Hotel Resort Agonda- Heritage θα σας ευχαριστήσει σε πολλά πράγματα. The reviews I checked before booking were convincing, but my experience of the place was very different. The restaurant staff was incompetent. They open for breakfast only after 11 a.m. and take forever to give you a cup of hot water. There's no set menu; they said they could customize the meal for us based on what we wanted, but since they weren't available most times, we didn't go through with that. The water supply kept getting cut and the staff took their time fixing it. The rooms were just okay, but for the price I suppose it is what you get in Goa for booking last minute. The beds weren't clean. There were no floor mats. We were given one towel per room even though it was double sharing. The rooms have a big window and one flimsy curtain which is see-through so there's no privacy at all. The toilet was cleaner than expected. The only good thing I found was that for the price, the location of the hotel was good. It was just a five-minute walk from Agonda beach. 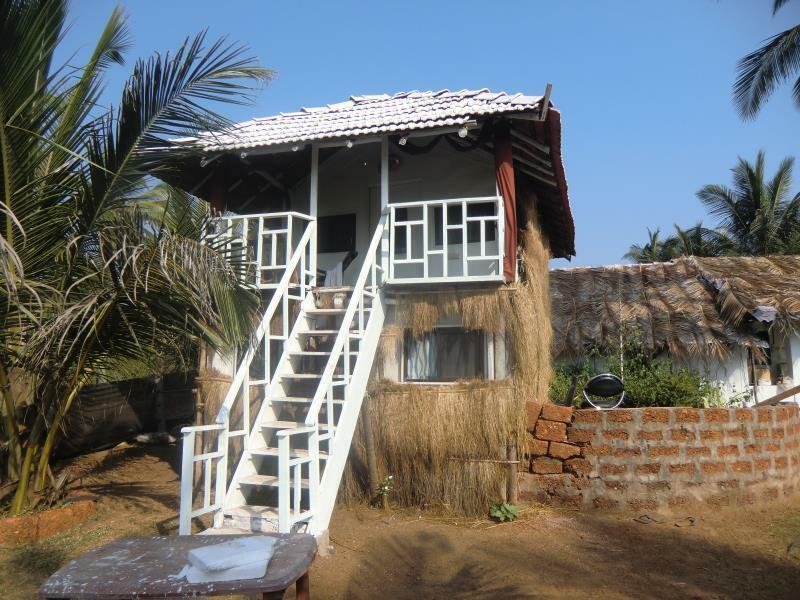 We understand that due to rain, many Huts in Goa were not ready. But it could be well communicated to the guests before. However he offered me a hotel, not a beach hut. Unsafe steps to room. Dark and dingy even with light on. Bathroom disgusting. Not fit for purpose. No lock provided for main door. Located next to busy, loud computer area. Worst place I've ever stayed in 15 travelling trips to India. There are much better places to stay for a LOT less money. Go elsewhere. Very unorganized, and demotivated management. Guests are often send to backyard/alternative room due to unavailability even with booking confirmation. We booked for 7 nights and 2 nights we stayed in a backyard room instead of garden view (against 1 free breakfast for 2 worth total 5€ after discussion for reinbursement due to unavailability of booked facility). We met 2 more guests and the same happenend to them. Pretty loud (in both the rooms) in the night due to mice running above the cloth hanging above the bed and toilet is stinky (seems mice is using it through the night ;-). The concerns are unattended since they are focussing on 1 time guests due to nice pics and location close to quiet beach with good potential if run properly with basic hygiene (atleast mice problem). For the same price there are much better places in Agonda! We weren't expecting any hotel facilities in the huts but atleast the basic hygiene problem due to mice. This is not my first time in Agonda and I already lived in a similar hut but the hygiene there was much better for the same price. Its really disappointing to know they are not providing the promised service/availbility of rooms though its already confirmed and doing this on a regular basis. Agonda is lovely bit not anymore in this same accomodation. 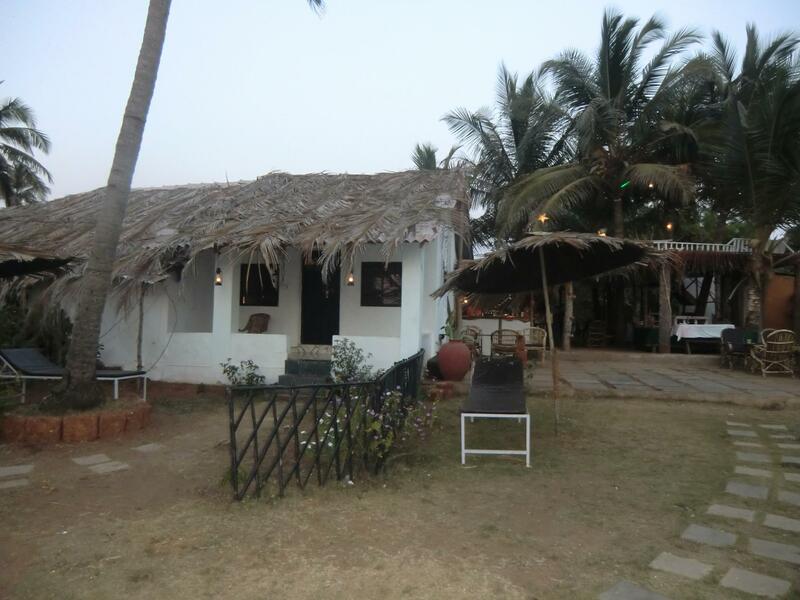 This was my favourite place in Goa! Amazing location right beside the beach, Facing the sea but also really nice and quiet as its tucked away with its own little garden. It's quiet, the restaurant/bar is good, the rooms are really comfortable and clean and Yogita and her staff were lovely and welcoming. I spent months in Goa and this is definitely the best place I found. We stayed here for two nights and wish it had been more! We had already arranged to move on but would return. 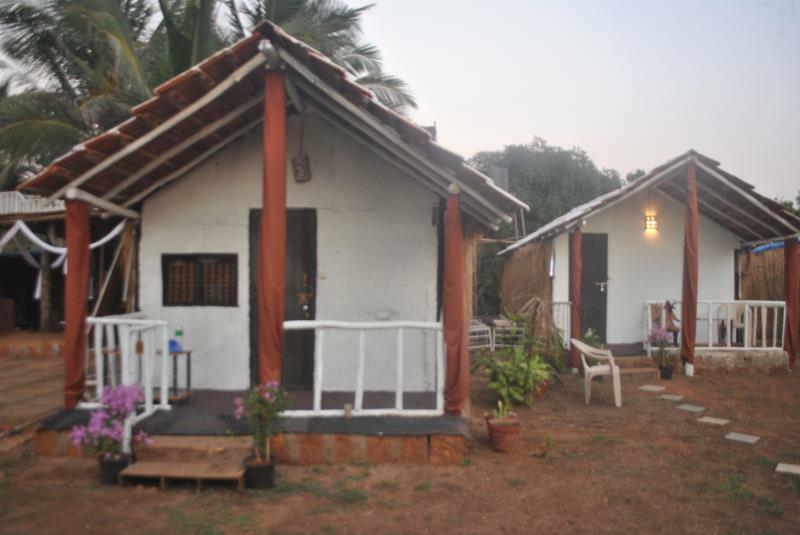 The huts are spacious, clean and well kept. The bed is huge and the most comfortable I've had in 2 months of travelling! Good shower, hot water. Soap, towels. Great chai if you want it, water available etc from the great staff team and owner who were friendly and helpful in a genuine way. Really happy to have stayed here, the value is outstanding! Thanks a lot! Ich habe meinen Lieblingsplatz gefunden... eine schattige Dachterrasse, mit Blick auf Meer - dann noch einen Cocktail in der Hand und der Moment kann schöner nicht sein. Danke für die schönen Stunden in netter Gesellschaft! 1A Anlage - großzügig, begrünt und nur einen Steinwurf vom Strand entfernt. Die Huts - absolut sauber und zweckmässig. Das Personal - superfreundlich! Ich werde Euch vermissen! Неплохое расположение недалеко от пляжа. Горячая вода. Чистое белье. Домики к февралю уже ну очень уставшие. По ночам очень громко бегают и пищат какие-то грызуны. Цена и рейтинг очень завышены. Легко найти жильё лучше по более низкой цене.